Jessica Smith graduated from YHS in 2010. She embarked on a gap year experience that has led her to discover a passion for midwifery and women’s health issues. 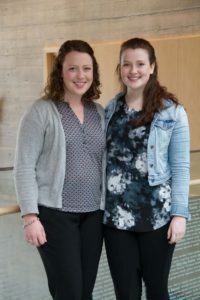 She is currently completing her first year at the UBC Midwifery Program. Amelia Smith graduated from YHS in 2015 and after a gap year spent abroad in the UK and Southeast Asia; she is now at Queen’s University studying in the Faculty of Arts.